Set on 3,000 acres of unspoilt wilderness, Glenworth Valley is just one hour north of Sydney’s CBD. 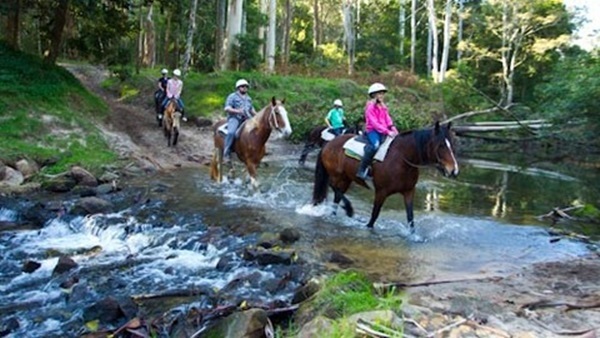 Australia’s largest outdoor activity centre features horse riding, quad biking, kayaking, abseiling, laser skirmish and much more. Corporate team building packages are in demand, along with incentive and reward packages for employees. Glenworth Valley has won numerous awards for excellence, including the 2014 NSW State Tourism Award (Bronze – Adventure Tourism) and Hall of Fame at the 2014 Hunter Tourism Awards after winning the Adventure Tourism category for three years running. Glenworth Valley is fast becoming one of greater-Sydney’s most popular camping destinations with kilometres of riverfront sites. Adding to its prestigious reputation, There are two beautiful cabins that are perfect for couples and families and Glenworth Valley also runs Australia’s only Bear Grylls Survivor Courses. The extreme 24-hour adventures run for individuals and families. 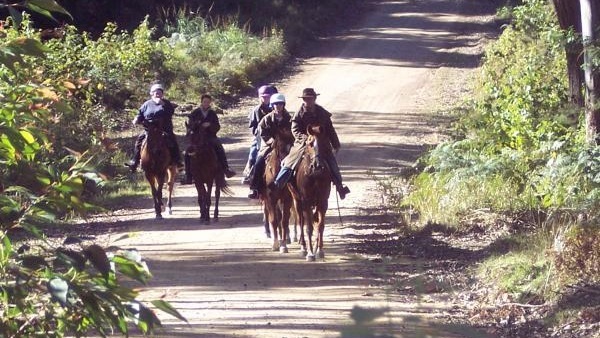 Ride the magnificent Watagan Mountains at AAA Horse Riding & More (LAKE MACQUARIE/HUNTER VALLEY NSW) where our trail rides take you into the foothills of the Watagan Mountains, and through beautiful rain forests. (Located 10km south of Freemans Waterhole or 5 km north of Cooranbong). 45 minutes from Newcastle/Central Coast & 1 ½ from Sydney. We conduct 1hr, 1 ½ hr, 2hr rides along with ½ day treks and full day treks. Children’s day camps, lessons, and overnight camping packages are also available. Explore our beautiful rain forests and native bushland. Discover our beautiful flora and fauna which is home to a large variety of native animals/reptiles and an arrayment of bird life. We conduct riding lessons for all ages (minimum age 4 depending on the height/build of the child). Our largest group consists of fourteen riders plus one trail boss (35 years experience) and one drag rider (who communicate via walkie- talkie and mobile phone) to ensure maximum safety and management of the ride.